Becoming Bold and Beautiful? We thought they were born that way! If you’ve always wanted to know how live a life as full of drama, boldness, and beauty as the cast of Bold and the Beautiful, you’re in luck! Pop TV will air an exclusive special, Becoming Bold and Beautiful, Thursday and Friday night at 6:30 p.m. EST/5:30 p.m. CST, reported Soap Opera Digest. LA’s most glamorous bunch filmed the behind-the-scenes expose while they were on location last summer in Monte Carlo, filming some special episodes. 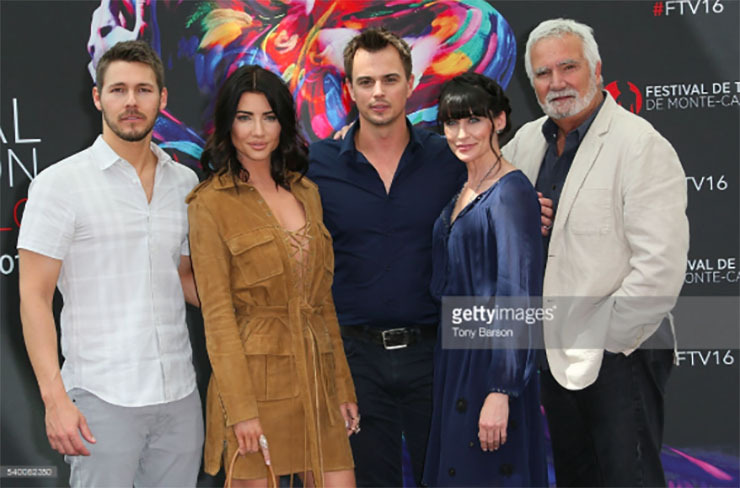 Fans will recall how while some characters were in that the European city, Steffy (Jacqueline MacInnes Wood) found out (and flipped out) about Eric (John McCook) and Quinn’s (Rena Sofer) clandestine affair. Also, Liam (Scott Clifton) met up with actor and environmental activist Ed Begley, Jr. for advice on how to get the Spencer Foundation involved in ethical environmental stewardship initiatives. Off-screen the cast of B&B attended the Golden Nymph awards at the Monte Carlo Television Festival! The soap won the International TV Audience Award in the Telenovela/Soap Opera category for the 11th year in a row. We won’t see B&B and The Young and the Restless air on CBS on Thursday and Friday because of the network’s coverage of the annual March Madness basketball tournament. So, it’ll be a nice treat to see some special, behind-the-scenes footage of our B&B family those evenings. Normally, at the time the two-night special will air, Pop TV airs the episodes of the CBS soaps that aired earlier that day on the Eye Network. Also, it’s always good to get some pointers on how to be as bold and beautiful as the cast of the soap by the same name!